Metric Halo is pleased to announce the immediate availability of MIO Console v.5.6, a free software upgrade for all users of the Mobile I/O family of audio interfaces, including the award-winning 2882, ULN-2, LIO-8 and ULN-8. SEPTEMBER 22, 2012: Today at IMSTA Festa, Metric Halo announced the release of the Metric Halo Production Bundle for Pro Tools 10 for Windows, as well as Macintosh Audio Units. 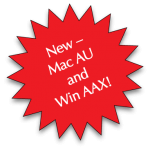 The software will be available 9/25/12 and consists of seven plug-ins compatible with AAX Native and AAX DSP Pro Tools systems and any Macintosh DAW that supports Audio Units: ChannelStrip 3, Character, HaloVerb, Multiband Dynamics, Multiband Expander, Precision DeEsser, and TransientControl. SAFETY HARBOR, FLORIDA – DECEMBER 2011: Without snow shovels and down jackets, Metric Halo is in the process of moving to the Tampa Bay area during the holiday break. Metric Halo is celebrating the thirteenth anniversary of its ChannelStrip plug-in by offering a 50% discount on the GarageBand, Native, and TDM versions until June 20, 2011. ChannelStrip was the first console-style channelstrip plug-in of its kind, combining gate, compressor and EQ modules in one efficient package. It was also the first to offer double precision operation for the highest quality audio. With over 100 presets, ChannelStrip allows the user to quickly hone in on the sound they’re looking for. If you haven’t experienced ChannelStrip, now is a perfect time to take the plunge and hear what you’ve been missing. This limited time offer is available through MH Direct as well as authorized dealers. 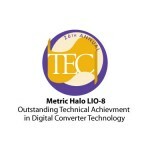 JANUARY 2011: Metric Halo has earned an Outstanding Technical Achievement award by the TEC (Technical Excellence and Creativity) Foundation for the Digital Converter Technology of its LIO-8 AD-DA. 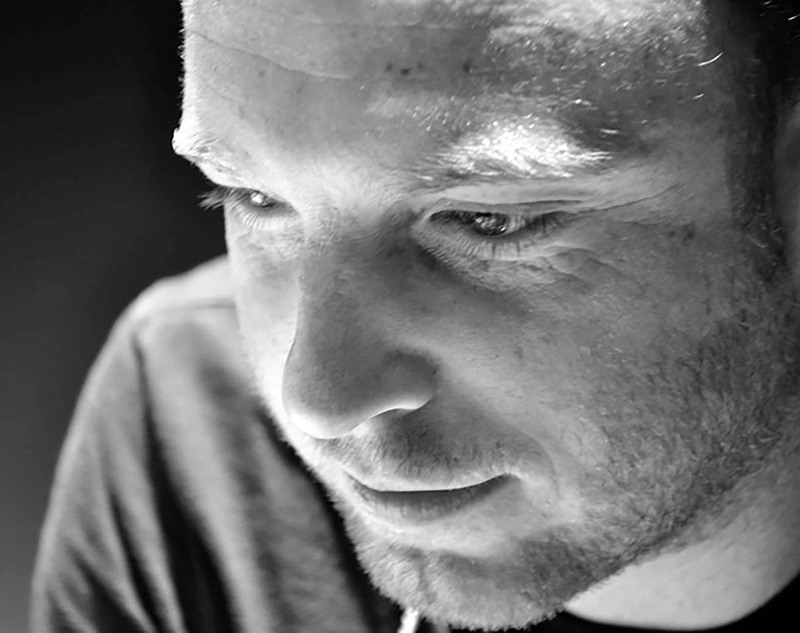 The foundation announced the award at January's NAMM Show in Anaheim, California. 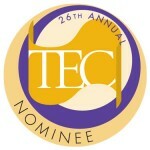 The win adds satisfaction to the honor of Metric Halo's three previous TEC nominations for its SpectraFoo sound analysis software, its ULN-2 +DSP combination multi-channel mic pre/converter/processor, and its ChannelStrip multi-platform plug-in. 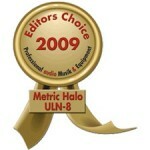 To celebrate the victory, Metric Halo will offer the LIO-8 and its technological sibling, the ULN-8, at an amazing 25% discount, through all Metric Halo sales channels, from January 24 through February 18, 2011. So, as they say, act now. 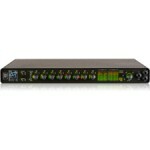 NOVEMBER 2010: Metric Halo, maker of top-tier pro audio interfaces, announces a significant upgrade to its Mobile I/O software, which is freely available for download at the company’s website, www.mhlabs.com. The MIO Console software, which runs on a Macintosh computer, provides a virtual console that configures and controls all internal routing and DSP within Metric Halo’s family of FireWire hardware interfaces. Version 5.4 adds support for infrared remote control and demos of Metric Halo’s popular +DSP upgrade and plug-ins, along with a large number of smaller tweaks and improvements. Most importantly, however, version 5.4 takes MIO’s industry-leading reliability and makes it even more bulletproof. HOPEWELL JUNCTION, NEW YORK - OCTOBER 2010: Metric Halo is pleased to announce the that the LIO-8 Line Level Converter has been nominated for the Technical Excellence & Creativity Award in the category of Outstanding Technical Achievement, Digital Converter Technology. 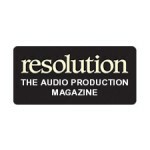 The ULN-8 was nominated for the Digital Interface Technology award by Resolution Magazine. MUNICH, GERMANY: Today, Metric Halo announced the immediate availability of the new LIO-8 multichannel A/D/A converter, processor and interface. Based on Metric Halo’s ULN-8 technology platform, the LIO-8 is perfect for the audio professional that needs archival quality conversion, processing and interfacing. Equally at home in a mastering suite, mix suite or in a recording studio with external preamps, the LIO-8 provides conversion performance that is as stunning as that provided by the ULN-8. HOPEWELL JUNCTION: Metric Halo is pleased to announce the immediate availability of version 5.3 of MIO Console, Mobile I/O CoreAudio driver and Mobile I/O Firmware. The new version is available as a free update, and applies to all Metric Halo FireWire audio devices including the 2882, ULN-2, ULN-8 and the recently introduced LIO-8 multichannel A/D/A converters. Version 5.3 provides a number of new features, usability enhancements and bug fixes.